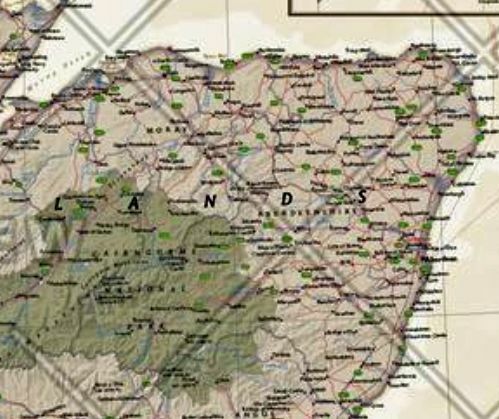 The executive-style Scotland wall map is one of the largest and most detailed maps available. Includes hundreds of named places including primary and secondary towns, counties, political boundaries, infrastructure, and selected historical sites. 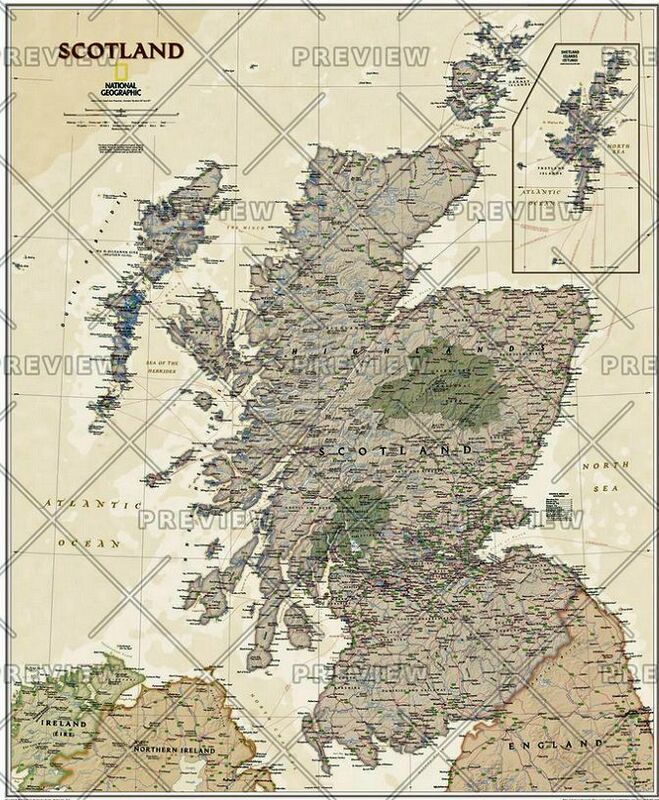 Shows Scotland in its entirety including the Highlands, Southern Uplands, Isle of Skye, Outer Hebrides, Inner Hebrides, Orkney Islands and the Shetland Islands (shown in an inset map). The nine political council areas of Scotland are also clearly identified.